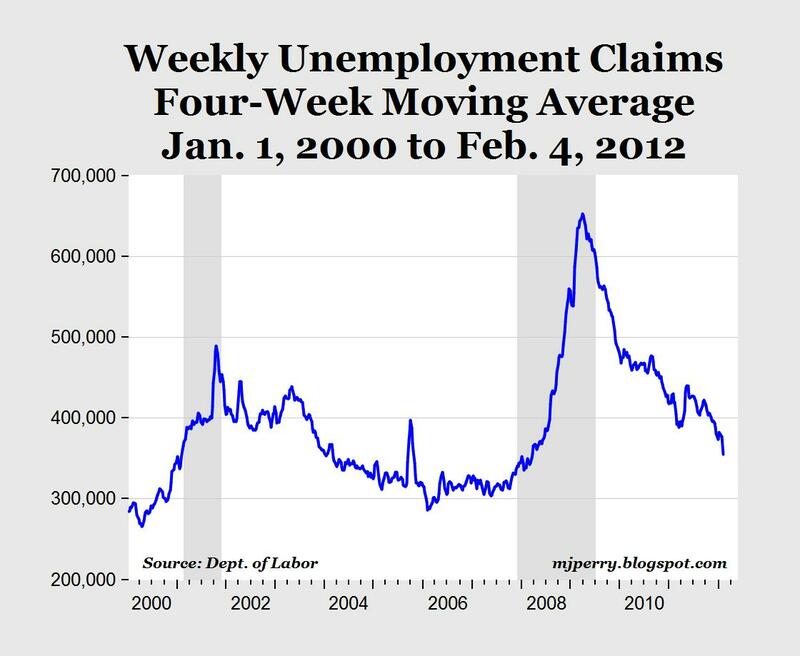 In another positive sign that the U.S. labor market is gradually improving, the Labor Department reported today that the four-week moving average for initial jobless claims fell to 366,250 for the week ending February 4, which is the lowest level since the week of April 26, 2008, almost four years ago (see chart above). This marks the fourth consecutive weekly decline in the four-week moving average, and the ninth decline in the last ten weeks. 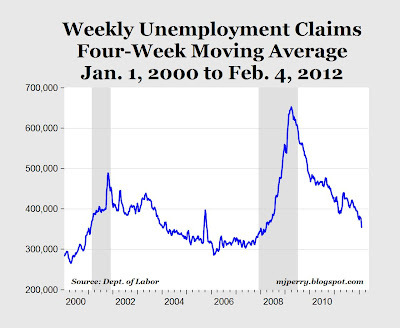 If the current rate of decline in jobless claims over the last few months continues (-4,100 average per week since December), the four-week moving average for initial jobless claims will be back to pre-recession, November 2007 levels by early April. Are we sure we're getting valid data from the BLS? Nearly 500,000 "App Economy" Jobs in U.S.